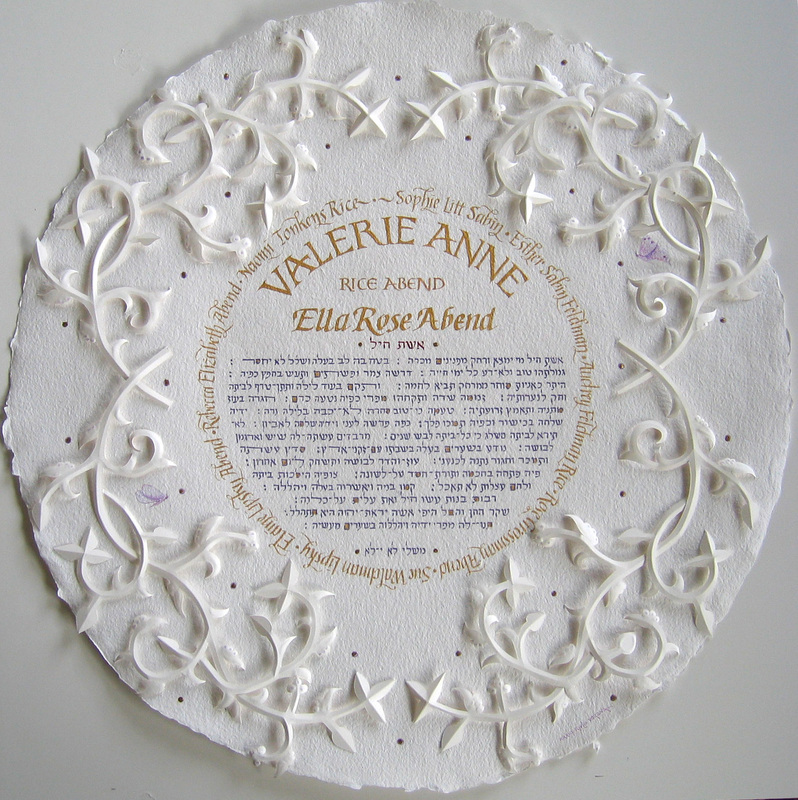 This special artwork was created in honour of the birth of a new baby daughter, and celebrates the women in the family. In the center written in purple is Eshet Chayil, surrounded by the names of all the women in the family written in gold paint. The Paper-Sculpture technique was used for the 3D vines around the text with 23K Gold leaf dots between the vines.